To understand process management, we have to first know ....What is a process? Take a look below and think... do you understand your process? A Process is an activity or group of activities that take inputs, add value to it, and provide an output to an internal or external customer. The basic process unit is this... Input - Value Add - Output. Sometimes when you look at the details of a process you find sub-processes. These sub-processes are still processes. To manage processes you need to understand the details. By studying the basic processes you simplify your process improvement endeavors. When you map out your basic processes, you create a flow chart. A flow chart shows how sub-processes fit within a larger process. A flow chart also is important to managing processes because it visualizes the process. Your team can quickly examine the flowchart and discuss the individual processes. During discussion, the team focuses together on the individual processes of the flowchart. .
What is the difference between process and a system? Good Question. process planning is the first step of process management. SIPOC is a process-oriented tool that pieces together the major elements of a process/value stream to allow participants the ability to view it at a high-level and agree on it. C ustomers of the process. Once identifying every element of the SIPOC, a group can easily identify the starting point and the stopping point of the process. If you cannot identify all the elements, it may indicate the lack of a clearly-defined process. 1- Verifies the existence of a process. 2- Helps clarify the scope of the initiative/project early in the scoping process. 3- Sets clear boundaries of where the project starts and stops in terms of the overall scope of work. 4- Helps a group determine the most effective level of detail to address in the project. 5- Shapes the scope further, enabling early review by the sponsor of the initiative/project. 6- Helps re-shape the group to ensure that the appropriate people are in the group and that some areas are not over-represented. 7- Provides early discussion and clarification of the groups scope which speeds up the subsequent work of the group. 1- Obtain a general description of the scope of the project from the leader, process owner, or subject matter expert. This should include a summary of the specific issues being addressed. 2-Identify the customers of the process. 3- Identify the outputs/final products to the customers. 4- Identify the high-level steps to the process. 5- Clearly identify the start and stop points of the process. Start point should be prior to the first process step and stop point should be immediately after the last process step. 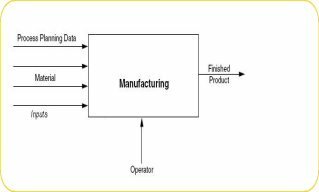 6- Identify the suppliers and inputs to the process. 7- Document/Summarize the conclusions/output of this tool for later reference.